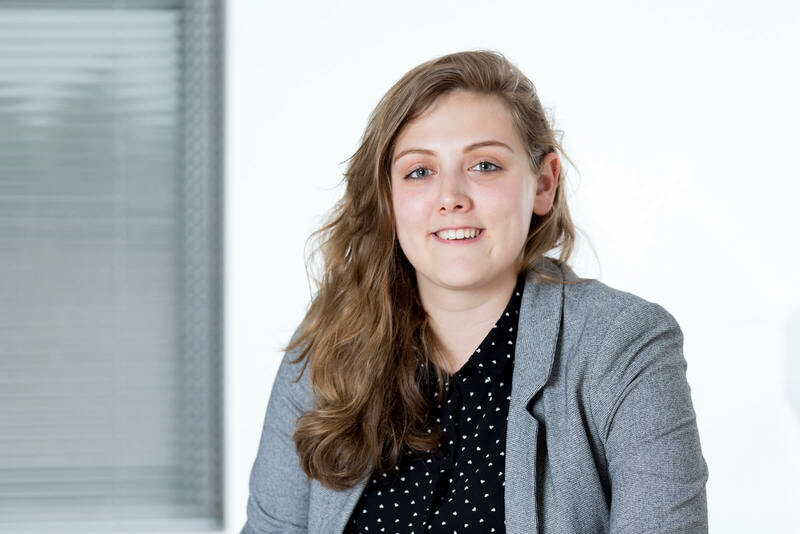 Jade Walden was recruited in 2017 to work with Nottingham-based insurance brokers Routen Chaplin through the Knowledge Exchange for Innovation (KEI) Programme, with the aim of developing a sales and marketing plan to increase the firm’s customer base. Now, her success has led to her being offered a permanent contract as the company’s Marketing and PR Manager. Routen Chaplin worked with the University’s Knowledge Exchange Department, Professor Carley Foster, the Head of the University’s Centre for Business Improvement, and Annmarie Hanlon, Senior Lecturer in Digital Marketing, to find the ideal candidate to help them achieve their aim of growing their business and securing customers from beyond the local area. The KEI programme, which is financed by the European Regional Development Fund, is designed for small and medium-sized businesses in the D2N2 Local Enterprise Partnership area, which extends across Derbyshire and Nottinghamshire, including the cities of Derby and Nottingham. It aims to help businesses access University and graduate expertise to find innovative solutions for business growth, with an agreed detailed work plan of between six-18 months. The programme contributes 30 per cent of the cost of employing the graduate, with the remaining cost met by the employer. The vital innovation element of this particular project centred on reinventing and modernising the marketing activity within the business, underpinned by technology and investing in new skills, as well as by working in partnership with the University. Professor Foster said: “Jade’s objective was to help the company bridge identified gaps in its social media, marketing and advertising. As well as creating effective marketing campaigns which has generated new customers, and managing the company’s website and public relations, Jade was also set the task of developing a better system for customer relationship measurement (CRM). These are crucial pieces of work for any business that has plans to expand.